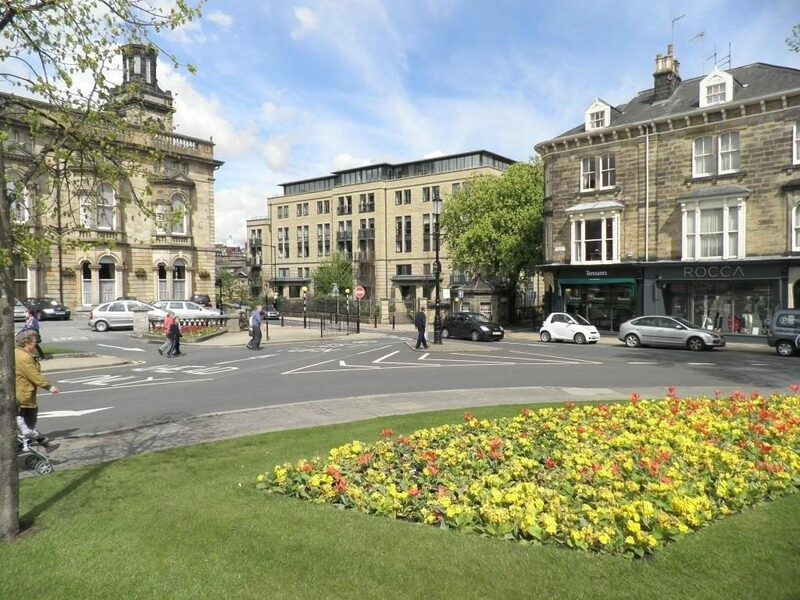 Bowman Riley designed Royal Baths II a new apartment building positioned at a key location within the elegant spa town of Harrogate. The apartment building is comprised of two blocks of 12 apartments, which divide the building into two elements. Two substantial portico entrance areas articulate the buildings at ground level and relate to a formal landscaped garden area raised above the street level. The contemporary design of this project aims to reflect the traditional materials and proportions of the surrounding buildings and uses the existing levels to conceal the car parking from the street frontage. The three bedroom apartments are finished to a high standard offering luxurious accommodation. The hallway leads to all the main rooms with the living area enjoying plenty of natural light provided by two sets of double doors which both open onto balconies overlooking the Montpellier Quarter.